As of 3 p.m., interstates in Northern Virginia are improving quickly, with most pavement showing. Major routes are in minor to moderate condition, and secondary roads remain moderate to severe. Crews are also working around the clock to clear the 16,000 neighborhood streets in Fairfax, Loudoun and Prince William counties. Crews are working hard to make major routes passable today and tomorrow. With the extremity of this storm and the need for special equipment to move snow in subdivisions, crews are working to make all neighborhood roads passable over the next several days. Check www.vdotplows.org for plow progress near your house. Drivers are reminded to not travel today, as traffic will hinder plows. Plows will provide a path through neighborhoods that is drivable with caution for an average passenger vehicle. The path will not be curb-to-curb or bare pavement, and may remain uneven and rutted, especially with refreeze. Crews are asked to be mindful of pushing large piles onto driveways, but in an extreme storm is an unintended consequence of making roads passable. VDOT invites contractors with loaders, motor graders and operators to contact VDOT Northern Virginia’s procurement office at 703-259-3240. If you are shoveling your driveway,view this video for helpful tips. Van Winkle Drive still not plowed while many surrounding streets have been plowed. Lake Barcroft plowed all around. This is potentially a very dangerous situation for the residents of this street. Check VDOT truck progress and your neighborhood status 24/7 at http://www.vdotplows.org (though if you live in a HOA and they plow, then that’s not on the website). Thanks for the overall progress, but unfortunately the snow plow on Marlo Dr in Falls Church stopped half way down the cul-de-sac before backing up, leaving a 4ft high berm across the road, completing blocking in all residents beyond the berm. In addition, the road surface has not been treated/gritted, so the surface will be treacherous after a melt/refreeze cycle. Please send the plow back to finish the job! Hello! Our street, Woodpalace Court was not plowed but the street leading up to Woodpalace Court (Woodland Road) was plowed and now we have almost 3 feet of snow on our street and we can’t get into or out of our homes. Woodpalace Court (at intersection of Woodland Road) is on the list of roads the State is responsible for yet it was overlooked! This happens every year…and we pay $11K per year in County tax!! And we have no snow removal yet! Please hurry so we can get our cars in and out! Silas, if VDOT is responsible for maintaining and plowing your roads, contact them at 1-800-FOR-ROAD. You can check here on this map https://fairfaxcountyemergency.wordpress.com/2016/01/25/who-maintainsplows-your-road-check-this-map/. Well…I waited on the phone for 1 hour and 33 minutes. The guy did nothing except take my address and tell me we will get to it by the end of the week????? Then he hung up on me!!!! This is horrible horrible customer service! I want my street plowed…It is on the list of State responsible streets and they plowed the street perpendicular to mine but not my cul da sac! Makes NO SENSE! It’s becoming increasingly clear that driver safety is not a priority. Check that, safety is not a priority. Fire/EMS simply cannot reach a half dozen houses in our neighborhood. But the good folks with Willy’s Construction got a couple of good nights sleep. After more than 36 hours, they got one of their trucks running, I advised that them that our street remained unplowed, I was told by the self-identified supervisor that they would be right over, they picked up their gear and left. Contact VDOT. You’ll sooner contact alien life forms. Great job in terrible conditions. Thanks much. really appreciate all the very hard work! Thank you! Fox Mill Estates, ZIP 20171 – Pinecrest Road and Fanieul Hall Court – 2:00 PM – pickup truck with plow blade came down our street. Raised his plow a foot and a half to two feet up, took a running start and went straight down the middle of the road to the end of the cul-de-sac, put it in reverse, and backed out to Pinecrest, and left the area. My daughter has walked to the Giant Food shopping center and tells me all cul-de-sacs between us and the shopping center are cleared. We don’t want our street to be the forgotten one. Can you help? Hi Donald, the Virginia Department of Transportation plows the roads here. Check VDOT truck progress and your neighborhood status 24/7 at http://www.vdotplows.org (though if you live in a HOA and they plow, then that’s not on the website). Pimmit Hills has not seen a snow plow since Friday night around 8:00 PM. I’ve checked the website several times. No plows! HOA does not plow this neighborhood. Marlo Drive, off of Sleep Hollow was contracted to be cleared; however, the guy gave up and now there is a giant mound of snow/ice blocking the width of the road. Since the federal government has not been cancelled yet, we have folks that need to get to work. In addition, we have several elderly people and the bottom of the cul de sac that may be in jeopardy in the event of an emergency. We wanted to let you know that the length of Marlo Drive has NOT been plowed even though you contracted for it to be cleared. We recommend sending a heavy duty truck now that a big mound of hard snow/ice has been created. Thanks in advance! Rynex DR, Alexandria, VA has not been plowed. Please advise, it appears from the maps, that this area is being missed. Many VDOT plows are in area around Rynex DR, but Rynex DR has not been plowed in 3 days. Please advise. 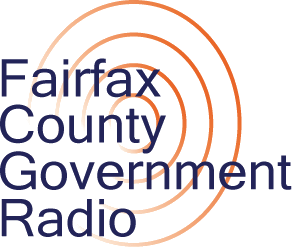 It is VDOT’s road; you can check here: http://www.fairfaxcounty.gov/news2/new-map-shows-who-maintains-roads-in-fairfax-county/ Call 1-800-FOR-ROAD today to let them know. Many neighborhoods haven’t been plowed yet, but VDOT will get there. If it still has not been plowed, please contact them at 1-800-FOR-ROAD, for snow removal information. When is Walney Knoll Court going to be plowed? 11 PM on Jan 24th and I have to go work tomorrow, while my street isn’t plowed yet! Walney Rd. seems ok, but I cannot drive out of my neighborhood (Wynmar Community). George, we are sorry your road is still not clear. Did you try calling them at 1-800-FOR-ROAD? That is the best way to get this information to them so that they can get more details from you directly. Yes, I called yesterday around 11 PM and there was a 45-minute wait time. So I decided to leave this string of messages instead of waiting on the telephone. This (Wynmar Community) is a Single-Family Homes Community not too far from the St. Timothy’s Catholic Church, right off Walney Road and my assumption is that, with the exception of my neighbor on the corner of Walney Way and Walney Knoll Court – who has shoveled his way out of his driveway and onto the Walney Way, plus driving the 4X4 vehicles he owns, he was barely able to make his way out of the neighborhood, but he had to work really-really hard to shovel his way out using his own home-electric plows + the 4X4s. His advantage, however, is that he’s right on the corner, therefore, closer to Walney Way so everyone else alongside Walney Knoll Court can’t even get out of their own driveways; we all cleaned up our driveways assuming (I think all neighbors will agree with me) that VDOT or somebody else equipped with heavy-duty plow-trucks will come clean the snow off our street. As of right now, the blanket of snow is still there and I have a feeling it is going to melt a little bit thanks to the sunshine and then turn into a hard-to-break sheet of ice. So we might be stuck without the possibility of driving to work (vehicles stuck on driveways, inside garages) for the rest of the week if weather conditions don’t improve (i.e. freezing conditions persisting). Still no plows on Walney Knoll Court – and it is 2:30 PM, today, Monday, 1/25/2016!!! River Birch Road, between Coppermine Rd and Sunrise Valley Dr. It’s a snow emergency route but it has yet to be cleared as of this morning at 8:40am. Will VDOT be able to clear it today?? Thanks for all the hard work! Andrew, we are sorry to hear that your roads haven’t been cleared yet. Have you tried calling VDOT to let them know? You can contact them at 1-800-FOR-ROAD/1-800-367-7623. You may have a wait time as many of your neighbors are calling as well, but that is the best way to get them information about roads not being cleared. Groveland Ave and Silver Sage Ct has not seen a plow since this storm began. Have we been forgotten once again? Afton Glen neighborhood has not been plowed. Silver Sage Ct. hasn’t seen a plow at all. Have we been forgotten once again? Contact them at 1-800-FOR-ROAD about snow removal. Try giving them a call at 1-800-FOR-ROAD to let them know. The plow is in our neighborhood (Tower Woods Dr) now. I notice all the snow is being packed against the storm drain for our block which is in front of my property. It sets me up so that when the rain and the snow melts it will flood my property….Thank you very much….please tell me where to send the bill. I happened to catch the plow doing my neighborhood and he said he had too. I explained my concern and he got out talked to another plow that arrived and then got back in his truck and proceeded take more snow and pack across the drain. Then to top it off I still had to shovel because he did not do around my driveway. PLEASE SEND ME WHERE I SEND MY CLAIM TO WHEN THE SNOW AND RAIN CAUSES THE WATER THAT CANNOT GO DOWN THE DRAIN FLOODS MY PROPERTY. I DUG A NICE TRENCH IN THE CURB TO THE DRAIN AND WE HAD A LOT OF DRAINAGE YESTERDAY…..NOW I AM DOOMED. PLEASE SEE THAT THIS PROBLEM IS ADDRESSED TIMELY SO I DO NOT NEED TO SEEK LEGAL ACTION. SOME COMMON SENSE WOULD WORK WONDERS HERE. Laurie, sorry to hear about this. Please give our Maintenance and Stormwater Management Division to talk about the storm drain issue. You can reach them today at 703-877-2800, TTY711. I have talked to them and I am somewhat hopeful as they are putting in a work order…..hopefully they are not as backed up or I will have a flood tomorrow. This should be something I would tell my contractor at the onset…especially since these drains appear on the county maps and once built usually do not move themselves. I even had reflector snow sticks up to show the exact drain location (now they are probably in the drain so please return them if you find them). It seems to me we are creating more work for ourselves and costing taxpayers (including me) more. This happened thee last time we had a big snow and I was told procedures were changing so this would not be an issue again…..I decided to mark where it was but again it happens Can I please have a box that sits at the height of the curb that covers the drain and sits high enough so it can be seen in a snowstorm so that this is not a problem again…Honestly, I am tired of this ! Dear Sirs our neighborhood has not been touched since the beginning of the storm on Friday we are in the Eudora /Tiburon section of Vienna Virginia all other neighborhoods in our area have been cleared but ours still contains three feet of snow on every road into our neighborhood. We have no access Beulah Road. Please advise when a plow will reach our neighborhood it is now Monday at 2. Many interne neighborhood are elderly and have no access to services. If it is VDOT contact them at 1-800-FOR-ROAD with snow removal questions. The VDOT number is constantly busy and the website just shows snow plows that move around our neighborhood but never reach our street. So both are effectively useless. Kennedy Lane has not been cleared yet. This is a road that has roads off of it and has always been cleared early and well in the past. It almost seems like our street has been left off a list or whoever was supposed to plow just didn’t show up. We had a harrowing time getting on and off the street last night for a trip to the emergency room. How can we make sure this doesn’t happen again and that whoever was supposed to plow doesn’t get paid? I waited 1 hour and 33 minutes on the phone and the guy hung up on me???? WTF!!! I am sorry to hear about your experience. We know that the VDOT line has been busy and had long wait time. Please be patient and try to continue to contact them. According to our map, they are the ones who maintain/plow Kennedy Lane. They are trying to clear snow as fast as they can. We are sorry to hear about your experience George. VDOT is responsible for clearing most roads in Fairfax County. Chairman Bulova is taking messages at chairman@fairfaxcounty.gov email address. The chairman is happy to help with difficulties you may be having, including forwarding your messages to VDOT. Rainbow subdivision off Clifton Road at Beachplum Drive (Fairfax Station near Davis’ Gas Station) has not been plowed by VDOT. A neighbor tried to plow through once around the neighborhood, but got stuck and didn’t do a good job. We need more plowing and sand to be laid down. PLEASE!!!!! According to our map, it looks like VDOT maintains/plows your road. Please contact them at 1-800-FOR-ROAD for snow removal. Hello VDOT – Much of Pimmit Hills remains unplowed. The map indicates areas around Pimmit Hills (McLean, Vienna, other parts of Falls Church) have active plows, but NONE have ventured into this neighborhood. We are federal government employees who will likely be expected to report to work tomorrow, as are many of our neighbors. When can we expect a basic level of service? 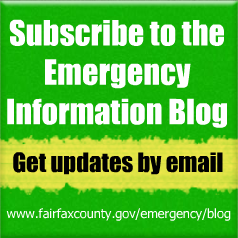 You are on Fairfax County’s Emergency Blog. To contact VDOT, call them at 1-800-FOR-ROAD. VDOT is completely unresponsive. We are not able to get through at that number OR on the website. We are sorry about that. VDOT is responsible for clearing most roads in Fairfax County. Chairman Bulova is taking messages at chairman@fairfaxcounty.gov email address. The chairman is happy to help with difficulties you may be having, including forwarding your messages to VDOT. Sorry to hear this. Chairman Bulova is taking messages at chairman@fairfaxcounty.gov email address. The chairman is happy to help with difficulties you may be having, including forwarding your messages to VDOT. When can we expect Cherri Drive to be plowed in Pimmit Hills?????? Doug, according to our map, VDOT maintains your road. Please contact VDOT at 1-800-FOR-ROAD or email them at novainfo@vdot.virginia.gov and give them the details. Absolutely F- to Sharon Bulova, Fairfax County and especially VDOT for a utter and total failure. VDOT is just NOW looking for equipment? And the Call center link is blank? How convenient! I can’t wait to sell my house and get the hell out of this failing county. This is the sort of terrible service I get for $1200 a month in Fairfax property taxes, sales taxes, income taxes, utility taxes and many more. Always taking more and more for the ever worse schools and the ever increasing in takers on section 8 and food stamps. Enough! We understand your frustration. VDOT is responsible for clearing most roads in Fairfax County. Chairman Bulova is taking messages at chairman@fairfaxcounty.gov email address. The chairman is happy to help with difficulties you may be having, including forwarding your messages to VDOT. Linden Hurst Ave. in McLean is a through street that has not been plowed. Cross streets Tennyson and Whittier were plowed early on Sunday. VDOT simply missed this short street that connects Tennyson and Whittier. It has been almost 48 hours since snow stopped. Please come! J, according to our map,VDOT maintains/plows your road. Contact them at 1-800-FOR-ROAD for snow removal. I’ve been on hold with VDOT for 40 minutes and counting, so that suggestion is not terribly helpful. J, I apologize for the long wait time. We know they have been swamped and are doing the best they can. Chairman Bulova is taking messages at chairman@fairfaxcounty.gov email address. The chairman is happy to help with difficulties you may be having, including forwarding your messages to VDOT. I have contacted Sharon Bulova’s office at the email you provide. They also referred me to VDOT. And I’m still on hold with them. Kudos, thank you all for your hard work clearing the roads! Kudos go to VDOT! Thanks. When will Heather Brook Court in McLean be plowed so residents can prepare to return to work? It is now Monday approximately 5 p.m. and our street is one street in the subdivision that has still not been plowed. According to our map, your road is maintained/plowed by VDOT. Contact them at 1-800-FOR-ROAD for snow removal. Thanks for the overall progress, but unfortunately the snow plow on Timarron Cove Lane in Burke stopped half way down the cul-de-sac before backing up, leaving a 4ft high berm across the road, completing blocking in all residents beyond the berm. This happened at 1pm. Please send the plow back to finish the job! According to our map, VDOT maintains your road. Please contact VDOT at 1-800-FOR-ROAD or email them at novainfo@vdot.virginia.gov and give them the details. I waited over an hour to speak to someone at VDOT today. It turns out our streets may have been overlooked. Hunting Crest Lane and Brookmeade Place. There is another Hunting Crest on the west side of Hunter Mill Road that is not covered by VDOT. The rep told me he would put in requests to plow our two streets ASAP, but that was hours ago and still no plows! Meanwhile plows are going up and down Hunter Mill Rd that is bare pavement. We live on Bishopsgate Court which is a cul de sac off Bishopsgate Way. Crews did the main road for ten hours and just pushed the snow into the end of our street. The main road is down to the pavement. The VDOT site showed all four trucks having left our neighborhood for the past several hours. After 1.5 hours on hold VDOT said the contractors should be back “sometime”. Please help us get to work! Stroud Court is privately maintained, according to our map. It will be up to the HOA or whomever maintains your road to remove snow. I keep hearing stories of plows only doing streets partially, or not at all (mine included). I also have read stories about a lot of plow drivers sitting and not plowing. Having lived in Fairfax 50 years I’ve found that a lot of plows just go back and forth on cleared areas. How do you plan on fixing this issue. Calling the VDot number you keep providing is useless, they keep you waiting an hour or more. And is Sharon Bulova personally coming to plow the street? What good does emailing her do other than adding a check mark to the angry citizen ledger? Yesterday, a plow came to our street and gave up. Today, the same thing happened. What’s the plan? My street is Chestnut Street, off Shreve Road. Jason, according to our map, VDOT maintains your road. Please contact VDOT at 1-800-FOR-ROAD or email them at novainfo@vdot.virginia.gov and give them the details. My question is, can I request special consideration in the clearing of my street and the way my driveway is blocked? If so, how do I do this? The VDOT number has a 45+ minute wait time! I realize everyone’s driveway gets blocked, but this mound is several feet high, and totally avoidable. Thanks. Bernard, Sorry to hear about your wait times on the phone line with VDOT. If you still need help with your driveway, you may consider contacting Volunteer Fairfax: http://www.volunteerfairfax.org. They have been coordinating volunteers to help with the snow. As always, if you have an emergency, please call 9-1-1. I live on Lord Fairfax Road in Vienna. Freedom Hill Elementary School is on this street. The street was cleared up to the elementary school, but most of the street is untouched. This is NOT a small street. Many surrounding smaller streets have been cleared, while this larger street with numerous culdesacs has not been touched. My husband is a physician and can’t get out of our street to get to the hospital to see his patients. Michelle, according to our map, VDOT maintains your road. If your road still has not been plowed, please contact VDOT at 1-800-FOR-ROAD or email them at novainfo@vdot.virginia.gov and give them the details. I have been monitoring VDOT Plows website since noon today. I saw many trucks going back and forth on Burke Lake rd., and Lee Chapel rd, but none swing by my street Timarron Cove Lane to finish the job they left off since noon. I am wondering if they are completely forgot our half way done street. If you still have not seen a plow, please contact VDOT at 1-800-FOR-ROAD or email them at novainfo@vdot.virginia.gov and give them the details. Most of the side streets off of Point Pleasant in Chantilly STILL have not been plowed and it is 10 am on Tuesday! To say this is unacceptable is an understatement. Across Stringfellow the Greenbriar section of Point Pleasant has numerous plows according to dtotplows.org. GET THESE NEIGHBORHOODS PLOWED NOW!!! Thanks for the email address, but I already wrote them. Hopefully that will help. Maybe stop replowing roads that are completely dry, and start plowing roads that have two feet of snow on them. The single plow on Point Pleasant has been here since yesterday, it has not made it yet. I’m no expert, but a pickup truck with a blade doesn’t seem to work that well with two feet of snow on the road. Thanks for the false promised after left our street half done. Many emails, many phone calls but no one show up. We had to pay for an independent truck to come plow our street along with some of our nice neighbors. Why do have to pay tax? I want to say that although I am still upset that plow drivers are not instructed to push snow blocks (which become Ice) on top of the drains so that when the snow melts it becomes a flood hazard, I want to say that other than that I believe the plows did a wonderful job and were courteous. I had the opportunity to get out today and I saw the roads are pretty good near the Fairfax county parkway. Although I never did see a supervisor come out and because of that my son and I after working many many hours on the snow in our driveway, sidewalk and street so the drain was open so water could flow down the drain, after the plow piled a 10 ft by 15 ft snow block on top of the drain….we spent another 5 hours trying to clear the drain again. I have not seen a supervisor but if they came out after 8:00 last night then they saw that we cleared the drain……(how that time could have been better spent helping my other neighbors….. In the future, I would like the to see plows be better instructed or the county should provide covers for the drain so that home such as mine are not put at risk of flooding. But for the careless placement of snow over the drain….flooding would not be an issue so Fairfax County and VDOT would be placing themselves at greater risk of lawsuits. Again, generally I think the plows did a great job…just would like to see more common sense uses. sorry will not protect my house from flooding damage common sense will. I have pictures and I will be sending a letter so you can see the issue clearly. After thinking about it for several days, I think if Fairfax county would make signs that say “Storm Drain DO NOT PLACE SNOW HERE” , would be extremely helpful. Then when the snow has stopped and we have trenched out the area around the drain we could place the sign there so the county or VDOT (no one seems to accept responsibility) does not have their contractors pile the ice blocks over the drain and put homes at risk of flooding. I am very tired of making this suggestion and not being taken seriously…..there is a real and present danger here whether or not you want to recognize it. I am very upset about it but my legal counsel says I need to give you the opportunity to fix the problem.